The ancient, yet still thriving Argan tree can only be found in the Argan forest of Morocco, but now, the rare, prized and expensive oil extracted from the tree’s nuts can be yours. 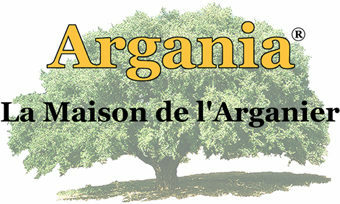 Argania is the first company to market an edible virgin Argan oil, which is imported from Morocco and bottled in France. Unlike other brands of argan oil, Argania offers the only artisanal argan oil produced entirely by hand. The oil is made as it was a thousand years ago. The virgin oil is extracted from the oleaginous almond of the Argan tree in a time-consuming and time-honored process. A dozen hours of work is required to produce one liter of virgin Argan oil. The Berber women of the Argan forest collect and dry the tree’s fruit. Next, they crush the nuts before roasting and grinding them. Finally, they knead the paste from which the oil is extracted and are left with a golden liquid that is 100-percent natural. It is a vanishing method that only a few women still know how to perform. Biochemically, the oil’s composition is very near to that of olive oil. But with richer quantities of linoleic acid and tocopherols, it is even more healthy, benefiting the body both inside and out. The dietary and skin care benefits of this high-quality oil have been known for thousands of years. The vitamin E in the oil helps skin from aging prematurely and the essential fatty acids also reduce the risk of cardiovascular illness. Several renown chefs in Paris such as Michel del Burgo of Taillevent; Pierre Gagnaire of his eponymous restaurant; Guy Martin of le Grand Véfour; and in the U.S., Phillipe Schmit of Orsay; Paul Liebrandt of Atlas; and Christian Touche of Clio in Boston, are incorporating it into their recipes. Gourmets have found that the oil is a fabulous salad dressing, and it also adds an exotic splash to poached fish, chicken, and even desserts. Argan oil from Argania is available in New York City stores such as Dean & DeLuca, Garden of Eden, Amish Market, and the newly opened Turquacino on Bleecker Street.